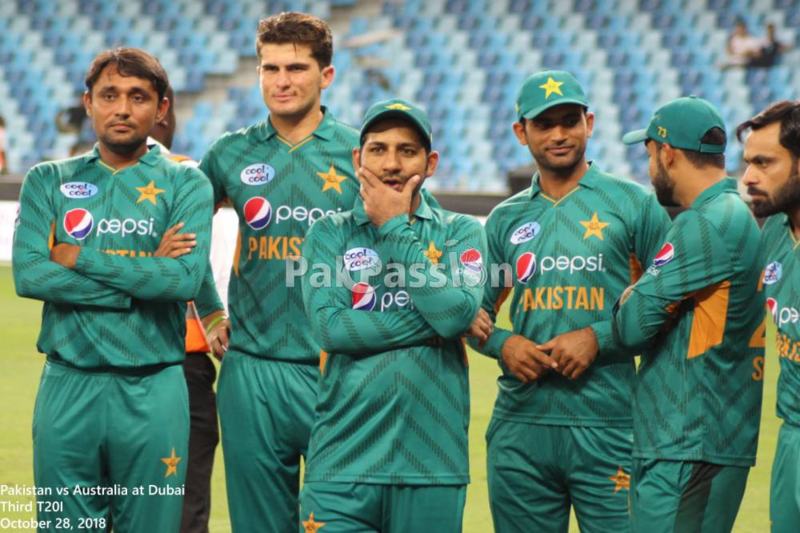 Such is the confidence of the current Pakistan twenty-over outfit that the recent 3-0 whitewash of Australia raised very few eyebrows amongst followers of Pakistan cricket. An outcome that in the past would have been seen as a huge achievement, was this time around expected in conditions that suited Pakistan perfectly. Pakistan comprehensively defeated a lacklustre Australian team after outplaying them in all facets and in all three matches. While the Australians looked unsure of their game plan and unsure of their approach, a well-drilled and confident team led impressively by Sarfraz Ahmed disposed of the tourists in a comprehensive manner. At times, it was like men against boys as the tourists struggled to conjure up any sort of battle plan against the rampant Pakistani bowlers. Pakistan's tactics were simple - put up a decent score on the board and then let their bowlers mesmerise the Australians. The plan worked perfectly. Scores of 155, 147 and 150 were not earth-shattering or indeed unreachable, but Pakistan's well-balanced and varied bowling attack made light work of Aaron Finch's men with victory margins of 66 runs, 11 runs and 33 runs. The Australians had their moments during the series, but more often than not succumbed to the pressure of chasing and wilted against a bowling attack that when it smelt blood, did not let the tourists off the hook. Wickets fell in clusters and the Australians were found wanting when it really mattered. The Pakistan T20I team these days is a formidable challenge for anyone in any conditions. A squad which left out the likes of Mohammad Amir and Junaid Khan in the pace-bowling department was simply too good for a weakened Australia in UAE. An abundance of bowling riches, a batting unit that was built around the in-form Babar Azam and a group of fielders who fought and battled to save every single run. The reality is that even a full-strength Australian team comprising of the likes of David Warner, Steve Smith and Co would have found it tough to compete against the Pakistanis. Consistency isn't a word that is often mentioned in Pakistani cricketing circles but this current twenty-over team since September 2016 has won 26 out of its last 30 T20Is. In addition, Pakistan has won 18 out of their last 20 T20Is. These are remarkable numbers in a format where most believe that luck plays a large part and consistency is rarely seen. The numbers confirm that competition for places is intense and the players, when selected know they have to perform or they will sooner rather than later be on the sidelines. In addition, the statistics display a level of confidence rarely seen in T20I cricket. Athleticism, aggression, game-awareness, cohesion and a never-say-die attitude are the strengths of this squad. This consistency and level of performance has not come easy or by chance. A large part of the credit for this superb level of performance has to go to head coach Mickey Arthur, whose attitude has rubbed off on his charges. Arthur was not a popular choice when he was picked by the Pakistan Cricket Board to take over the reins. In fact, some former Pakistani players even questioned the appointment of Arthur, who has never played international cricket as the head coach. How those former players must be eating humble pie now. Arthur is a no-nonsense coach, who expects the best from his players and would settle for nothing less than 100 percent effort. He wears his heart on his sleeve and his displays of the roller-coaster of emotions during a match are almost as entertaining as the cricket. Arthur has already shown that any player who is not willing to give his all and is not prepared to put the team first will find himself shipped back to domestic cricket. By Arthur's rules, there is no I in team. He has backed his players, he has supported his players and he has given youth a chance to shine. But if you get on his wrong side, you will regret it. Arthur has shaken-up the mentality of Pakistan cricket and boy was it needed. Players, who were going through the motions have been replaced by cricketers, who are hungry to succeed and want to make winning a habit. Gone are the days when you could make it to the Pakistan team and coast along with the occasional good performance - no way, not a chance on Arthur's watch. Twenty-over cricket requires fitness levels of the highest order. It's not often you see a Pakistani team outfield an Australian team, but that was exactly on show in the three T20Is recently. The reason for it is that Arthur wants no passengers in his team and he only wants players who are at the top of their game when it comes to fitness. The policy is simple - pass the fitness tests and you will be selected, fail the fitness tests and you can watch the matches at home on your television. This is a policy that was ignored by many in Pakistan cricket over the years, but Arthur will have none of it and his methodology has been justified. Pakistan sit at the top of the ICC Twenty20 rankings, an impressive 12 points ahead of second-placed India. Nobody who follows cricket will begrudge that ranking and based on what we have seen in recent times, there is plenty more to come from this vibrant and impressive team in the twenty-over format.